Dr. Kwai Lam Wong is a member of the Campus Programs group at JICS. 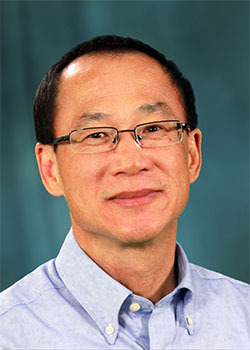 Kwai's background includes numerical linear algebra, parallel computing, computational fluid dynamics, and finite element method. Dr. Wong holds a BS in aerospace engineering, a MS in Math and a PhD in Engineering Science from The University of Tennessee. GO VOLS, GO LADY VOLS, GO VOLUNTEERS, GO BIG, GO ORANGE, GO BIG ORANGE !!! !